Manchester United’s Paul Pogba launched an incredible attack on United boss Jose Mourinho following the side’s disappointing 1-1 draw with Wolves. 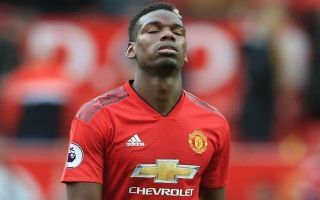 In a report published by The Mirror Pogba has criticised Mourinho’s negative approach and has blamed this for United’s worrying slow start to the season. For Pogba – who doesn’t have the best of relationships with Mourinho to say the least, to come out and attack his current manager speaks volumes of the current situation at Old Trafford. In recent weeks it looked as though United were beginning to put a bad start to the season behind them but then came yesterday’s draw against Wolves which seems to have the steered the side off-track once more. “We’re at home, and we should play much better against Wolves,” said Pogba. “When we are at home we should attack, attack, attack. That’s Old Trafford,” said Pogba following the draw. When Pogba was questioned on what was holding the side back so far this season, Pogba alluded to the fact that the blame lies with the manager Mourinho. “I can’t tell you because I’m a player,” said Pogba. “It’s not me. Despite the season only being six games in this Manchester United side doesn’t look like one that has the makings of a side capable of lifting the Premier League trophy this season. “We didn’t lose, but for me we should have won. We’re at home, they’re three points that we should get. Pogba’s attack on Mourinho comes only hours after France manager Didier Deschamps gave the midfielder a glowing reference. “The rest of the world, and certainly in France, has an image of Pogba that doesn’t really reflect who he is. “There’s this idea that he’s a bit individualistic – that’s not the case. “I’ve spoken to him about his relationship with the media and I think he’s been unfairly criticised in the past. That’s why there has been this aggressive vibe and he’s had this strained relationship. “But criticism is part of the job and I think you learn to take that on board as you get more experienced. That’s what’s happened with him and I think he’s gained some respect. With this latest revelation it seems as though the rift between Pogba and Mourinho is no closer to coming to an end and United’s hierarchy may soon be faced with the decision of letting one man go before the entire squad is overcome and alienated by this ongoing saga.